Bergamot essential oil is effective in treating addictions and depression. 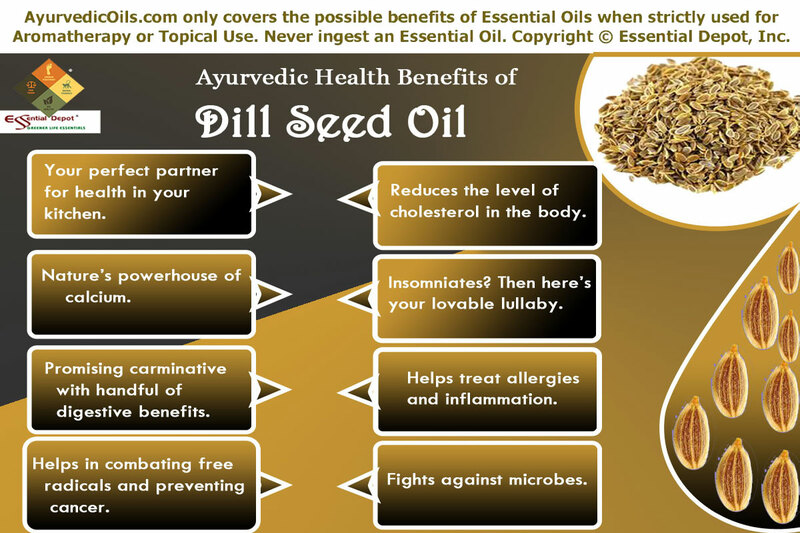 It is also an excellent aid for digestion and congestion. “Bergamot is a wonderful antidepressant and is a boon for people who suffer due to depression and are unable to experience and enjoy the richness of life, which reflects itself in liver congestion and gall bladder obstruction”, says Light Miller and Bryan Miller in their book Ayurveda and Aromatherapy. Botanically called as Citrus bergamia, Bergamot is another famous member of the Citrus family Rutaceae. The rich, herbaceous and fruity-aromatic essential oil is cold pressed from the rind of the Bergamot fruit, which is also called in Ayurveda with the same name. Bergamot and its essential oil have been recommended in the Ayurvedic treatment for healing skin rashes, sores, acne, fever, obesity, depression, eczema, gingivitis, sore throat, flatulence, loss of appetite, bladder infections and compulsive behaviors. The name Bergamot is said to have come from the Italian province in Lombardy known as Bergamo. Few sources also state that this name is derived from the Turkish word ‘beg-armudi’, meaning ‘prince of pears’ or ‘prince’s pear’ or ‘the lord’s pear”. Well known to the world as an incredible ingredient of Earl Gray tea, Bergamot and its essential oil have been in the history of various cultures for its medicinal and culinary uses. Indigenous to the Southeast Asian countries, Bergamot is also claimed as the native fruit from Greece. Later it was introduced to various European countries and is also found growing in Algeria, Morocco, Ivory Coast and Tunisia. About 80% of the world’s total Bergamot production is from the province of Reggio di Calabria in Italy. It takes about 100 Bergamot oranges to extract 3 ounces of Bergamot essential oil. The star-like white flowers, feathery leaves and the pear-shaped citrus fruit similar to a cross between a lime and orange have made many countries famous including the Calabria region of Italy. Certain genetic research studies reveal that Bergamot orange is likely to be a hybrid of bitter orange (Citrus aurantium) and lime (Citrus limetta). Bergamot is also called as a cross between a grapefruit and an orange tree. These pulpy and juicy fruits are often used in cooking and the most popular dessert with Bergamot in the Middle East countries and America is the Turkish delight. Bergamot juice has been used in the traditional Calabrian medicine for the treatment of malaria and other chronic fevers. This nutritious fruit and its essential oil were used in the traditional and folklore medicines for treating fever, urinary tract infections, acne, psoriasis, respiratory disorders, cystitis, depression, digestive problems, cold sores, chicken pox and anxiety. Bergamot peel oil has been a fundamental component in various fragrance formulations. It has also been used as a prime ingredient in the original Eau de Cologne by Farina in Germany in the 18th century. It is also used in the production of marmalades, smokeless tobacco products, digestive liqueur named Liquore al Bergamotto and much more. 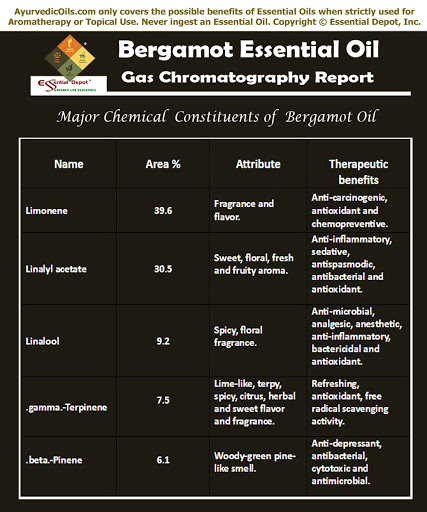 According to the Gas chromatography report, Bergamot oil constitutes of 19 chemical components that contribute to its fragrance, therapeutic attributes, consistency and quality of this citrus oil. Of which, Limonene contributes to the highest proportion of Bergamot oil constituents with about 39.6% of its total composition. I trust that this must certainly help you in getting to know the exclusive information about these prime chemical constituents of Bergamot oil. The table crafted below clearly depicts the unique nature and contributions of these biochemical constituents to the healing magnificence of Bergamot essential oil. 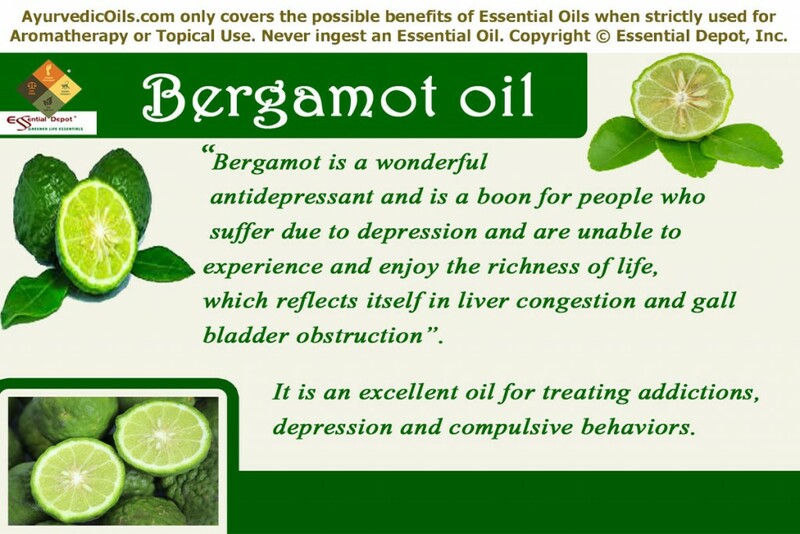 The remedial attributes of Bergamot oil are anti-depressant, sedative, antiseptic, analgesic, anti-parasitic, anti-inflammatory, febrifuge, antibiotic, vulnerary, cicatrisant, disinfectant, deodorant, antispasmodic, vermifuge, relaxant, anti-infectious and stimulant. Ayurveda is the oldest healing sciences on earth and it has its origin in India, the country with the oldest historical references. The Indian Hindu mythology has 4 major sacred books also known as Vedas, namely Yajur, Rig, Sama and Atharvaveda. Among these holy books, Ayurveda has been an integral part of Atharvaveda where about 114 verses talk about extensive Ayurvedic remedies and principles to lead a holistic life. Ayurvedic philosophy was further strengthened by the pioneer Ayurvedic philosophers like Charaka (respected as the ‘Father of medicine’) and Sushruta (celebrated as the ‘Father of surgery’), who wrote Charaka Samhita and Sushruta Samhita respectively. These two Ayurvedic encyclopedias were combined together and represented as Ashtanga Hridaya Samhita. More than just a traditional healing system, Ayurveda has been held high as a holistic approach with a bundle of values and disciplines for leading a responsible life. Ayurveda trusts on Mother Nature and believes that illness is a result of imbalance between an individual and nature. With this idea, Ayurvedic remedies always stick on to natural medications, believing that nature has a cure for everything within it. Ayurveda considers sickness as a significant opportunity to explore various aspects that contribute to the illness. 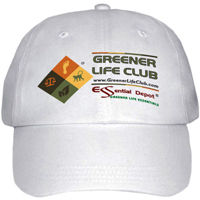 It is a known fact that Mother Nature is built up of five vital elements, namely earth, water, fire, air and space. As a part of nature, human beings are also made up of these vital elements called as Panchamahabutas. According to Ayurveda, every person is a unique creation with a unique individual constitution, which comprises of 3 fundamental biological forces known as doshas. They are vata, pitta and kapha doshas and each of these doshas are a combination of the 5 elements of nature. Every Ayurvedic treatment begins with the identification of the Prakriti or the unique individual constitution. Every human being has a predominance of one of these doshas, which mainly determines the physical, psychological and behavioral attributes. Balance between these doshas as per nature’s law indicates healthiness and imbalance due to lifestyle changes, food habits, climatic conditions and undisciplined actions causes sickness. Unique Ayurvedic remedies are prescribed for every individual based on their individual constitution and the root cause of a disease. This aids in diagnosing the illness at the first stage and preventing it in future also. The prime Ayurvedic medications are herbs, plant essential oils, yoga, meditation, simple physical exercises, prayers, Pranayama and certain Ayurvedic techniques including Abhyanga or Ayurvedic massaging, an Ayurvedic routine, and Panchakarma (the Ayurvedic detox techniques.) With its heating and drying energies, Bergamot essential oil is known to pacify vata and kapha imbalances and augment pitta dosha. Emotional barriers like anxiety, fear, depression and mood fluctuations have a greater impact on your routine and contribute to various adverse effects in your personal as well as professional life. The reasons for these negative emotions are often inexpressive and at times we realize that we are depressed or put off for no valid reason. Whatever the causes may be, the remedy for such unhealthful feelings should be a proven anti-depressant that aids in uplifting the senses and stimulating positive energy. Bergamot is one such excellent anti-depressant and a universally accepted mood enhancer. 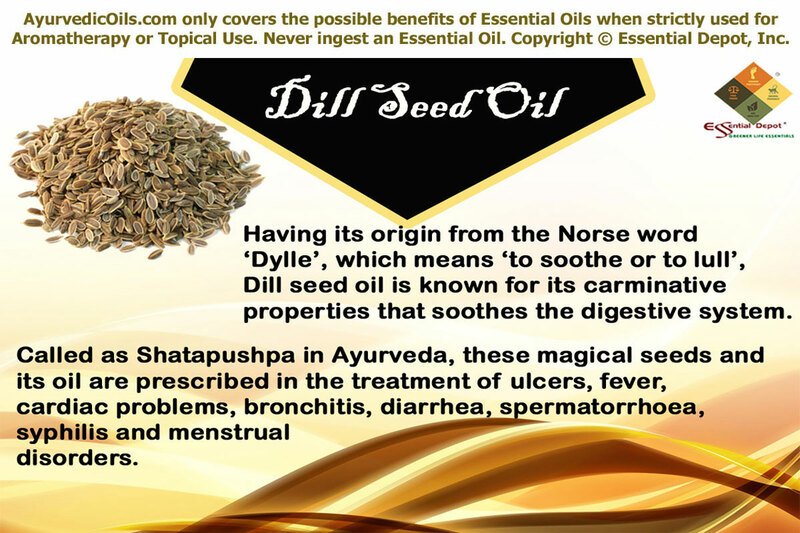 It is for these reasons; this essential oil is often used in Aromatherapy treatments and other Alternative medicinal practices. Inhaling the magical aroma of this oil by adding 2 to 3 drops of Bergamot oil in vaporizer or diffuser can help in enhancing your mood, instill a feeling of newness and stimulate the secretion of hormones that help in overcoming such difficult moments. This has been proven in a Korean study that analyzed the effects of Bergamot oil on pulse rate and blood pressure. The study further concluded that inhaling the energizing aroma of Citrus bergamia oil is extremely effective in lessening psychological stress responses, blood pressure in people with hypertension and the level of serum cortisol. You can start your own home spa just with a small collection of invigorating essential oils like Bergamot. Massaging your system with 5 drops of Bergamot oil, 5 drops of Neroli oil, 5 drops of Cypress oil and 5 drops of Juniper oil along with 20 ml of sweet almond oil is the best way to fortify your senses, augment your blood circulation, calm your muscles, strengthen your mind and gift yourself with absolute tranquility. Followed by this massage, enhance your energy level by taking a warm bath diluted with 5 drops of Bergamot oil, 5 drops of Ylang Ylang oil and 5 drops of Lavender oil. What’s next? You are done for the day and it’s time to realize that your fear, feelings of insecurity, anxiety, stress, depression and other negative thoughts have vanished just like a mirage in a desert with the sweet, mesmerizing, fruity and enchanting fragrance of Bergamot oil. An article by Robert Tisserand just left me amazed, where a student who have been studying about essential oils for 15 years have noticed the improvement in her husband, a stroke patient especially after the use of Bergamot oil on his pillow. Robert has also added to this experience by stating that “In one rat study, bergamot essential oil inhibited the damage caused by “focal ischemia” (the same type of damage caused by stroke).” He also says that if any essential oil can be helpful in supporting stroke patients, then it would be Bergamot oil. Various researches state that the molecules of the inhaled essential oils reach the brain through the nasal passages and have effectiveness in treating certain neurological diseases. A 2009 study on the effect of Bergamot essential oil on brain damage in rats, published in the International Review of Neurobiology, established that “Bergamot oil resulted in a significant reduction of tissue death throughout the brain, especially in the medial striatum and the motor cortex areas.” Few other studies have also proved that Bergamot oil decreases neuronal damage. Adding 2 to 3 drops of Bergamot oil in your diffuser, vaporizer, pillows, handkerchief or a tissue paper placed beside you can help in improving your blood circulation, augmenting the functions of your nervous system, boosting your brain power and keep you healthy and energized. Bryan Miller and Light Miller in their book ‘Ayurveda and Aromatherapy’ have shared about the miraculous transformation of their teenage son after the use of Bergamot oil. It was said that one of their sons in high school was undergoing severe depression and after Light Miller started adding few drops of Bergamot oil and Lemongrass oil on his pillow, there was an immediate change in his approach and he successfully graduated. The essential oil of Bergamot has anti-fungal and anti-bacterial properties that can assist in killing existing microbes and preventing the growth of new microbes. A 2009 study published in the Journal of Applied Microbiology concluded that the blend of Bergamot and Orange essential oil tested against two bacterial strains resistant to vancomycin, proved effective in inhibiting bacterial growths. 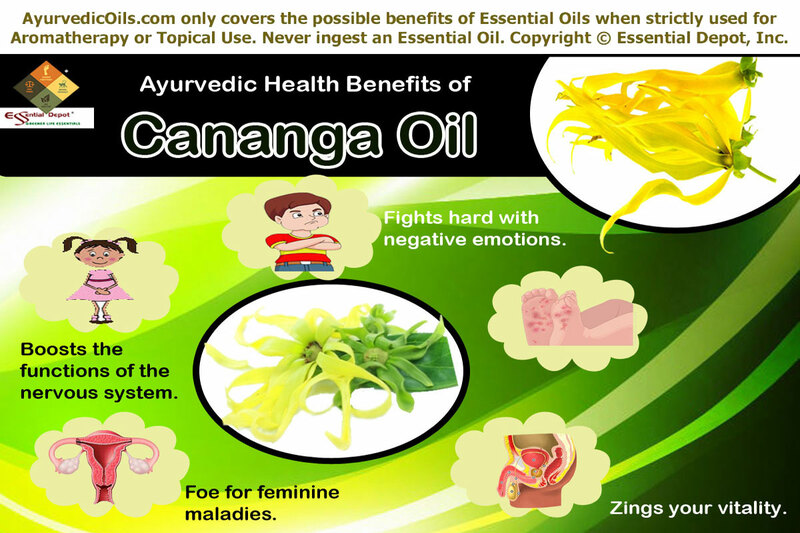 It was also said that these oils are an excellent alternative to chemical-based bactericides. Few other studies conducted in Italy proved that Bergamot essential oil exhibited antifungal activity against Candida fungus strains and Prototheca, which is a yeast-like alga. Adding 2 to 3 drops of Bergamot oil in warm bathing water can act as a protective shield against bacterial and fungal infections. You can also mix 2 drops of Bergamot oil with 2 drops of Orange oil and 2 ml of Coconut oil and apply it on acne, candida infections, athlete’s foot, ringworm, and on wounds for preventing it from becoming septic. Being a disinfectant and antiseptic, Bergamot oil aids in healing wounds quickly. Just like other citrus oils, Bergamot essential oil has enormous amount of Vitamin C and is extremely good for nurturing the skin. 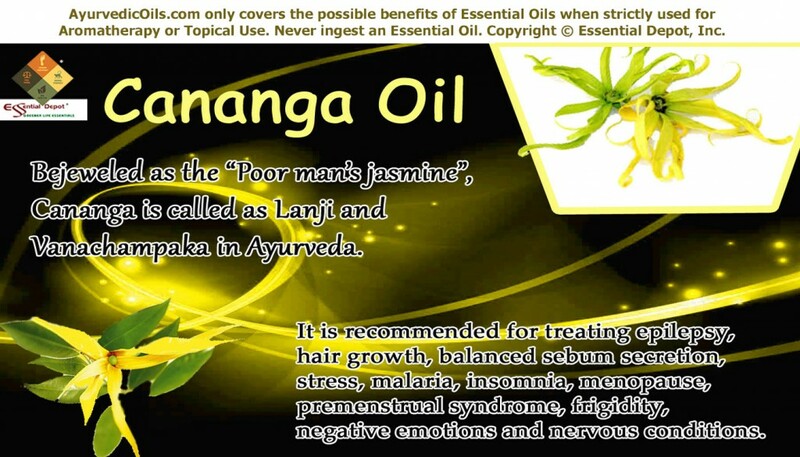 The cicatrisant properties of this oil assist in fading away scars, difficult marks left by pimples, boils and wounds. Massaging your skin with 1 drop of Bergamot oil, 1 drop of Frankincense oil and 1 drop of Lavender oil along with 1.5 ml of olive oil can help in uniform and even distribution of melanin and other pigments in the skin and granting you a gorgeous look and an enriched skin tone. With its antiseptic, vulnerary and disinfectant properties, Bergamot essential oil is one among the best oils for treating various skin problems like eczema, psoriasis, cold sores, itching, wounds, cracks, skin ulcers and other skin infections. Obesity or weight gain is an imbalance of kapha dosha, which is characterized by the heavy, slow, cool and sluggish attributes. Such vitiations are often treated with the help of essential oils that have warming, stimulating, energizing and heating energies and Bergamot is among those essential oils for reducing excess fat and water deposits in the system with its kapha-reducing attributes, which otherwise leads to overweight or obesity. The presence of limonene and other therapeutic properties in Bergamot oil promotes the functional capabilities of hypothalamus, which is the satiety center of the brain. By doing this, the feeling of being full or the natural appetite towards food decreases gradually and controls the cravings for food. Massaging your system with 5 drops of Bergamot oil, 5 drops of Orange oil, 5 drops of Black pepper oil, 5 drops of Lemongrass oil along with 10 ml of coconut oil can help in reducing your weight slowly and steadily. Bergamot is such a sacred oil that can help in attaining holiness and experience the feeling of oneness with the divine power. Inhaling the sanctified aroma of this oil by adding 3 to 4 drops to your diffuser or scented candle can assist in opening your senses, understanding the universe, granting the power to tackle challenges, and having complete control over your mind and body. It is for these important reasons, Bergamot essential oil is used in treating compulsive habits, addictions like smoking, use of drugs and alcohol. This oil encourages the mind by opening up the heart chakra, which is responsible for appreciating the love for self and for others. 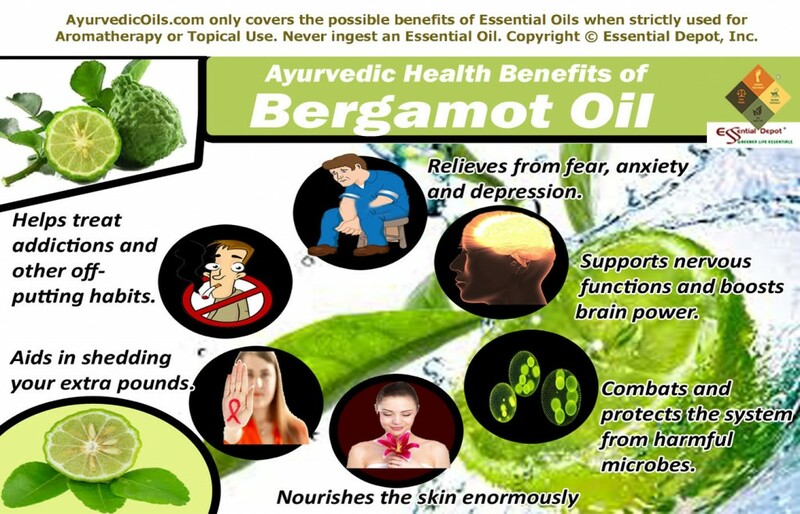 Bergamot essential oil is also effective in treating colic, intestinal worms, rheumatic pain, spasms, fever, irregular bowel movements, body odor, anorexia, constipation, urinary infections, hysteria, hair fall, inflammation and parasitic infections. This information is meant only for educational purposes. It is not intended to diagnose or prevent any health conditions and substitute any other prescribed medications or professional medical advice. We are not healthcare experts and this info is only for bringing the importance of Ayurvedic healing practices under limelight. Do not make use of essential oils internally and ensure that you always dilute essential oils in appropriate carrier oils before using it for topical applications. This is mainly because organic and unadulterated essential oils are very concentrated liquids and may cause allergic reactions if used on the skin directly. Consult your Ayurvedic practitioner/ healthcare expert before choosing the perfect essential oils for your unique individual constitution or prakriti along with your state of health. 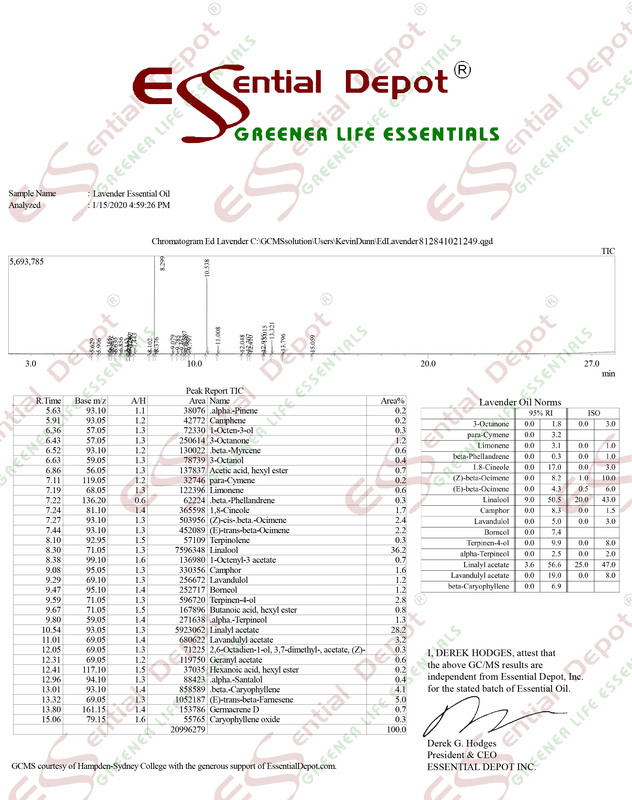 The MSDS (Material Safety Data Sheet) of Bergamot oil is readily available for your enhanced safety and better usage. 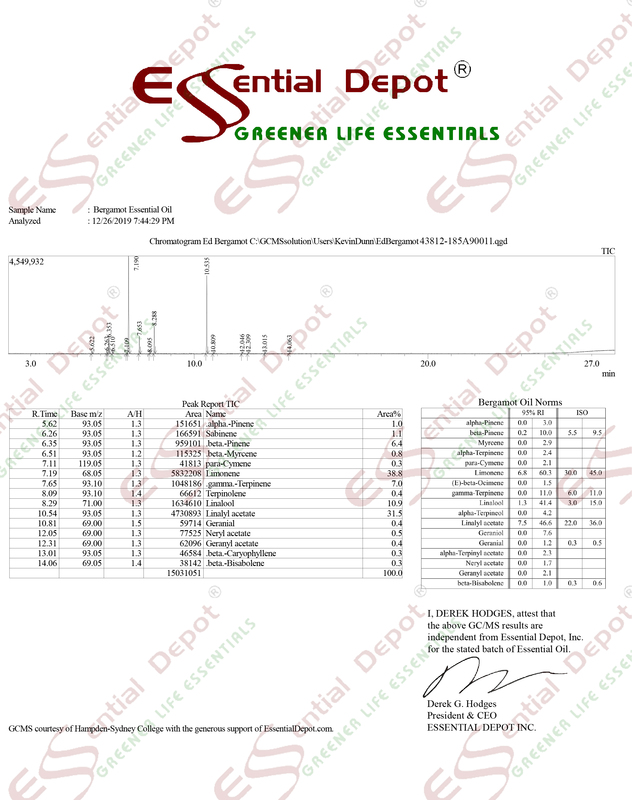 Gas Chromatography Report (GC analysis) of Bergamot oil. Bergamot oil has photosensitizing effects. This may cause irritation and burning of the skin, when exposed to visible sunlight after the topical application of this oil up to 72 hours of use. The fundamental reason behind this is the reaction of the photoactive chemical constituents that absorbs light, results in toxicity through molecular changes. Studies establish that the phototoxic chemical constituents in Bergamot oil are Bergaptene, Bergamotene and other furocoumarins. It is also stated that furocoumarins (Psoralens) attribute to carcinogenic, photomutagenic, phototoxic and melanogenic properties of Bergamot oil. Interaction of these components with the sunlight obtains the ultra violet radiation (UV rays A and B), which might cause negative reaction on the skin, leading to chronic sunburn, skin irritation, hyperpigmentation, development of skin lesions, Berloque dermatitis, alterations in the cellular structure of the skin that may cause skin cancer, following the development of covalent DNA adducts in UV-A or solar light. However the International Fragrance Association (IFRA) states that the safe dilution level for the application of Bergamot oil on parts exposed to sunlight is 0.4% (or less), which is about 2.4 drops per ounce of any other carrier oils. Furocoumarin or bergaptene-free Bergamot oils are said to reflect comparatively reduced number of skin complaints owing to phototoxicity, than the natural Bergamot oils. Surprisingly, Furocoumarins are also remedially used in combination with the long-wave ultraviolet light therapy for the treatment of vitiligo, mycosis fungoides and psoriasis. This caution is relevant to direct skin applications like massage oils, balms, creams and lotions and not for cleansing products like shampoos and soaps. Perfume Phototoxicity by Francis N. Marzulli and Howard I. Majbach, presented before the New York Chapter, Clifton, N.J.